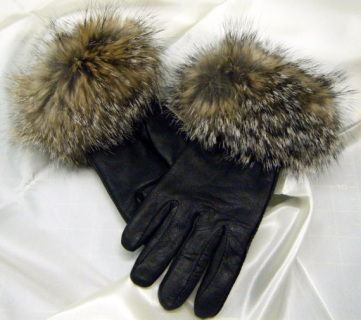 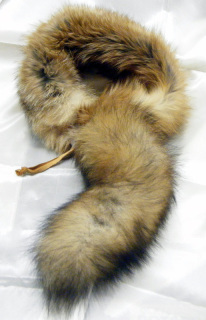 Deerskin leather gloves trimmed with real Grey Fox Fur. 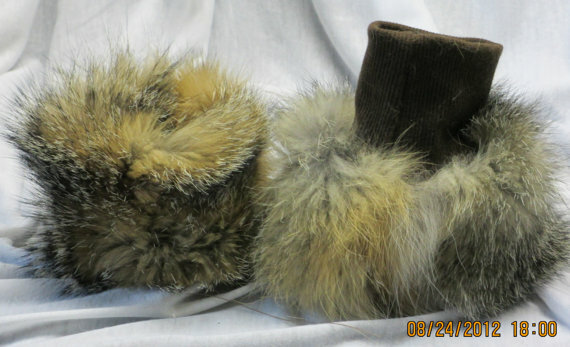 These gloves can be trimmed with other furs also. 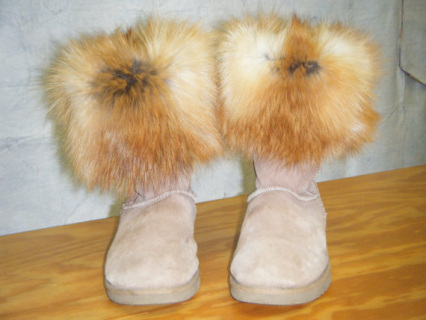 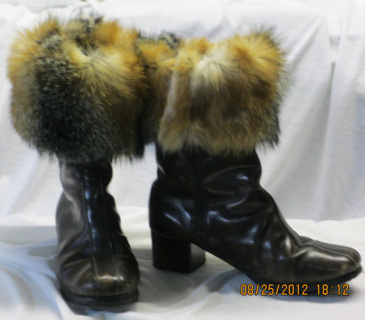 Detachable with fleece lining and knit cuffs so can be worn over many boot styles. 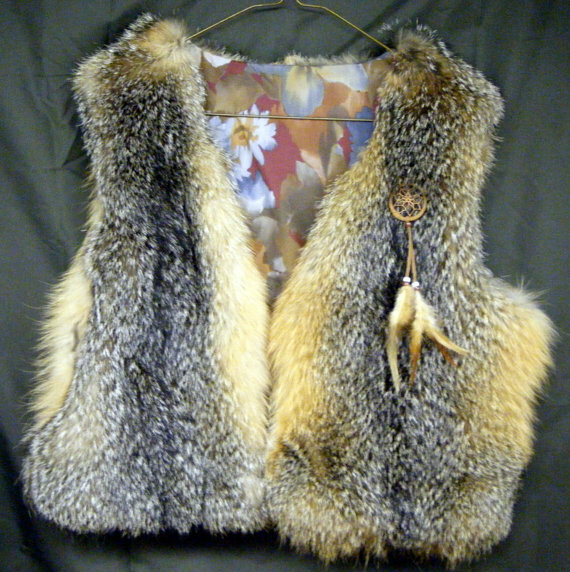 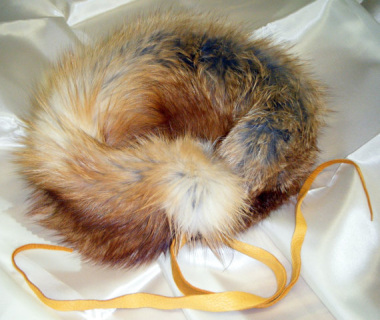 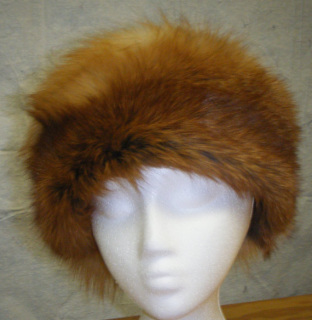 We can make them to order with any fur. 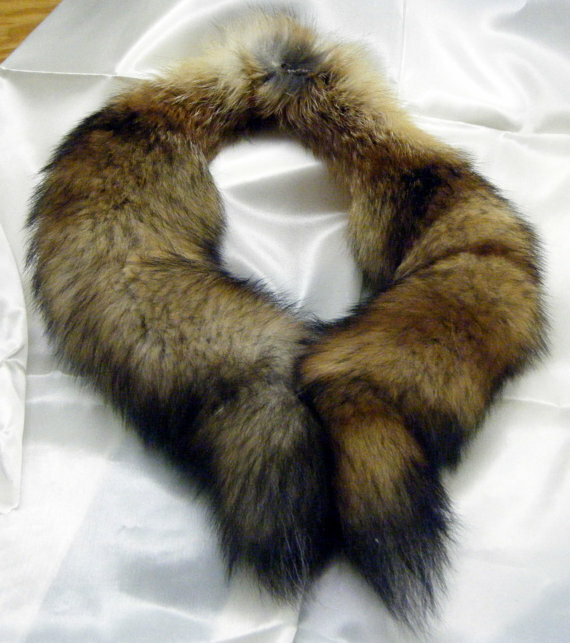 Beautiful Silver Fox Tails made into a Collar with Hook and Eye Closure.